Cannot resize form in Weebly editor? 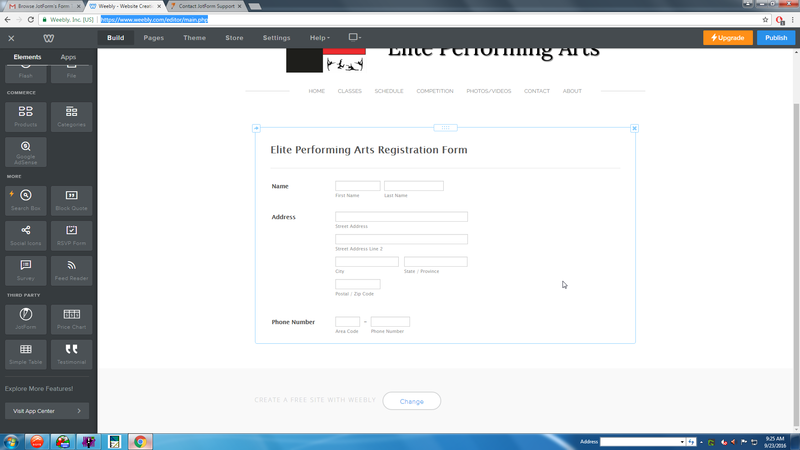 After I created the form and put it on my weebly site, only part of the form shows up. I need the whole form on the entire page to show up. Also, where do I put the email address in at for the submit button? May I know if you have opened website page in preview or in a new tab after publishing? In the editor, the element will show up on a small box which cannot be resize, however, after publishing, it will auto resize to match the length of the form, making it mobile responsive. I presume you used the JotForm app in Weebly App center to add the form? For the other question that you have, I have opened a separate thread for it. Please refer to this link instead: https://www.jotform.com/answers/940348. I will address it there shortly.